Our friends at QDMA recently posted the following article on New Year’s resolutions for deer hunters. My buddy, Brian Grossman, wrote the piece and it’s certainly worthy of sharing. It speaks to the fact that we need to look up from our own personal pursuit and make sure we’re doing good for the deer hunting community as a whole and that we’re passing on the rich tradition of hunting and the outdoors to the next generation. It’s a good reminder that we need to leave it better than we found it. A new year always brings with it a mix of emotions for me. I’m saddened because it marks the final days of Georgia’s deer season, but at the same time I love the feeling of a fresh start — the opportunity to reboot and strive to do things a little better than you did the previous year. And with a new year comes new goals. So, as I sit down to set my personal goals for 2019, I want to issue a challenge to each of you: include some or all of the eight resolutions below on your list. These are all relatively easy, don’t take up a ton of your time or energy, but will certainly leave you with a sense of accomplishment. One of the greatest things we can do this year is to mentor other kids in the ways of hunting and the outdoors. We’ve all seen the statistics and heard the bad news about the declining number of hunters in the U.S. As our numbers dwindle, we become much more vulnerable to attacks on our hunting heritage, and reduced hunting license sales puts a strain on our state wildlife agencies who depend on that revenue to manage our wildlife resources. In my mind, we all have a responsibility to pass on the hunting heritage, whether it be to a child, grandchild, nephew, or just a neighborhood kid. Actually, it doesn’t have to be a kid at all. Why not ask a friend, co-worker, or neighbor? Research has shown that many people are open to giving hunting a try if someone would simply ask them. So be that someone! It may just make for your most memorable hunt yet! Unless you’re hunting the same property you’ve hunted for years, there is probably something to be learned from some off-season scouting. 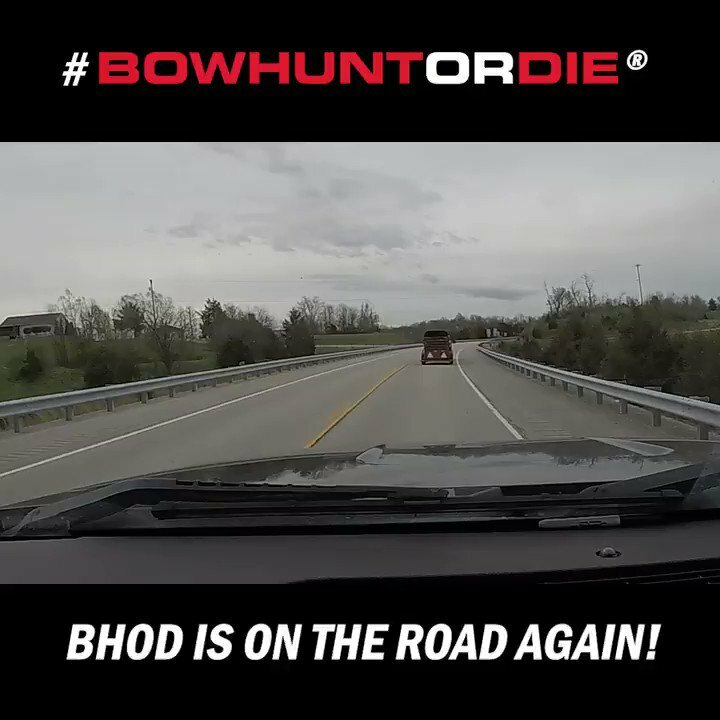 This can be done in the comfort of your home with the use of maps and aerial photos, through dedicated scouting trips spent looking for both past and current deer sign, by shed hunting in the winter or spring and glassing fields during the late summer, and, of course, through running trail-cameras year-round. If you don’t already, start keeping a scouting journal — whether digital or old-fashioned pen and paper — where you can document all the information you gather. Over time, this will help you see patterns of deer behavior and movement that you may have otherwise missed. If you are fortunate enough to have been hunting the area for years and already know everything you need to know about that particular property, move on to the next goal! Can you ever have too many places to hunt? If so, that is a problem I would love to have! But if you’re like me and can always use a new hunting spot, why not make it a goal this year to gain access to one or two? That may mean checking out a new public hunting area, or it could be that you need to start networking and knocking on doors to find private-land access. No, it’s not as easy as it used to be, but there are still opportunities out there if you are willing to do the legwork. TIP: The onX Hunt app is a great way to find both public lands and private landowners in your state, which can really speed up the process of seeking permission to hunt. It doesn’t get much easier than this one, yet it can have a lasting impact on the future of white-tailed deer, wildlife habitat and our hunting heritage! QDMA is working on worthy goals, like recruiting 1 million hunters over the next five years, increasing and improving public hunting lands, sharing venison with those in need, as well as funding critical whitetail research. But we need your help. The simplest way to get plugged in is become a member of QDMA. If you’re already a member, then I would encourage you to make 2019 the year you get involved with your local QDMA Branch. These Branches host fundraisers and subsequently use the funds they raise to not only help the national organization reach its goals, but also to do great work in their own community. And lastly, if you have the means, make 2019 the year you donate to QDMA. As I mentioned above, we have set some aggressive five-year goals, and every dollar received will bring us closer to accomplishing those goals. No gift is too small. And with a 4-star rating from Charity Navigator (the highest honor), you can be assured your money is being spent responsibly. This is an easy goal to accomplish, and it’s a great way to introduce friends, neighbors, or coworkers to the benefits of hunting. You never know who you may inspire to give hunting a try, but at the very least you’ll show them how hunting provides you and your family with a healthy source of locally grown protein. Not everyone wants or needs to be a deer hunter, but the more non-hunters we have on our side, the more easily we can protect our hunting heritage from future attacks. We’ve all heard it so many times, it has almost become cliche: “If I don’t shoot him, the neighbors will!” or “If it’s brown, it’s down over on the neighbor’s property.” But is that reality or perception? The only way to know for sure is to make an effort to meet and talk with them. You may be surprised to learn they have similar goals or the same management philosophy as you. If not, perhaps they will take an interest after hearing the things you are doing and will be open to giving QDM a try. One thing is certain — you will never know until you make the effort. Just by the fact that you’re reading this article, I assume you, like myself, enjoy learning as much as possible about the white-tailed deer and its management. And the best way to increase your knowledge on the subject is through the assortment of courses QDMA offers through its Deer Steward program. There are two main options under the Deer Steward umbrella: the certification classes and our learning Modules, and each has an online and in-person component. By taking Deer Steward 1 (online) and Deer Steward 2 (in-person) certification classes, graduates are able to design and implement their own comprehensive property-specific white-tailed deer management plan. So, for the price of a new gun or bow, attendees in essence gain enough knowledge to become their own deer consultant. The Deer Steward Modules include the same kind of science-based, comprehensive deer knowledge found in our full certification courses, but in smaller, customizable and logically grouped pieces. You simply can’t get this level of info anywhere else in a similar platform. We offer several of these Modules in an online learning environment, as well as the occasional in-person course. Make this the year you take your deer and deer habitat knowledge to the next level with a Deer Steward course or Module. This should be the goal every time you head into the field. We should never get so wrapped up in hunting or managing white-tailed deer that we lose the fun factor. Chances are, that is one of the key reasons you started hunting in the first place. It’s a great opportunity to relax, enjoy nature, share great experiences with friends and family, and of course put some delicious venison in the freezer! So let’s all strive to focus more on those experiences this year and not take things so seriously. Regardless of what it is that you hope to accomplish for 2019, be sure to take the time to put those goals down on paper. Reflect on them often, plan accordingly, and put in the work to make them a reality. 2019 just may be your best year yet. We’d love to hear what hunting goals you’ve set for 2019. Be sure to let us know in the comment section below. I think that anyone who own 10 acres and more with a main highway, where deer and other game gets killed. If they post their property and not let hunters hunt on their property. Should be fined.